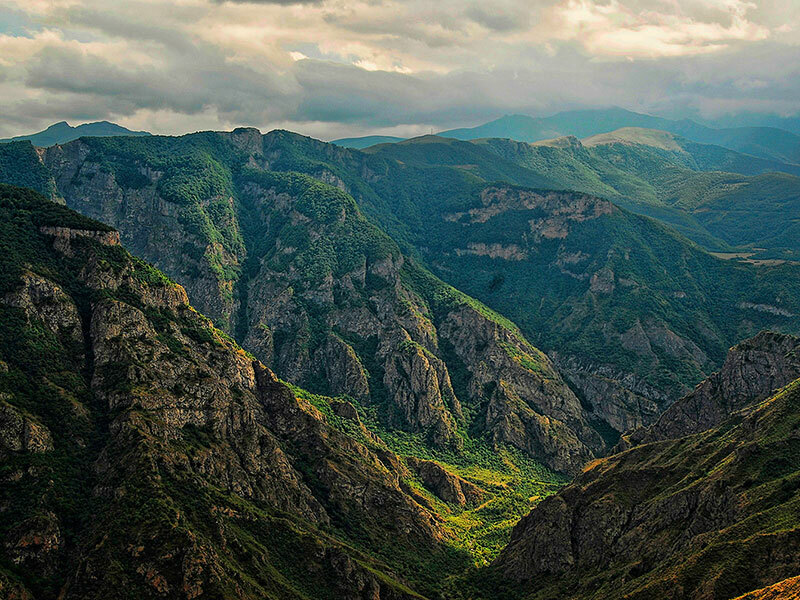 The nature of Armenia amazes with its diversity. It is impossible not to admire the mountains, forests and gorges of Armenia traveling along the roads of the country. Historical monuments and sights complement the beauty of nature making the whole picture. If you are a fan of hiking and active leisure, it’s time to take a walk about the most breathtaking gorges of Armenia. Even when you are in modern Yerevan, the capital Armenia, you can still find and enjoy the natural beauty of Armenia. 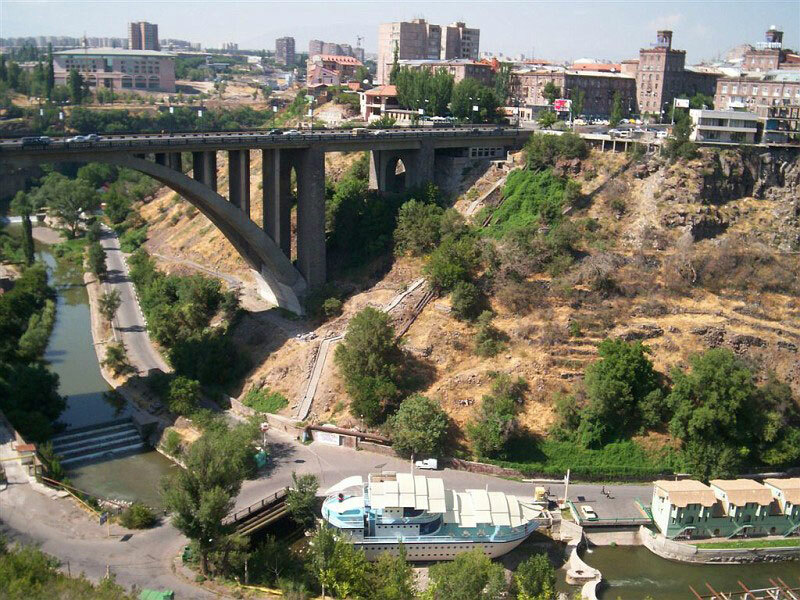 Yerevan is located on the two banks of the Hrazdan river. This is a picturesque place that is popular with locals and tourists. The gorge has an asphalted road that runs in circles and rises to the top. There are popular Armenian restaurants in the gorge where you can spend an unforgettable time on the bank of the Hrazdan River. There are three bridges on the gorge, the very first of them is the Victory Bridge, then the Kievyan Bridge and the Davtashen Bridge linking the right and left bank. The name speaks for itself. Gorge is an ideal place for fans of thrills. The Hell canyon is more popular among professional climbers; cliffs and built routes have long become the center where athletes are used to gather. However, rocks are a small part of the gorge. The Hell canyon is located in the Ararat region, on the border with Nakhijevan. The Aratso river flows in the gorge. The depth of the gorge in some places reaches up to 400 m, width – 80 m, the length is 8 km. There is a waterfall hidden in the gorge and only the bravest ones who dared to explore the gorge on foot have seen the waterfall. The most beautiful region in Armenia is the Syunik region. The beauty of nature is so diverse and unique that it can not be described with just words. Vorotan gorge is another element that adorns and complements the picture. The canyon is called the Grand Canyon of Armenia, and this is fully justified. The depth of the gorge is 100 m, the length is 178 km, the Vorotan River flows at the bottom of the gorge, and the basin of the gorge is 5650 m2. At the widest point the gorge reaches up to 3km. The Vorotan gorge, the river, forests and the entire canvas are supplemented by the most important sights of Armenia, the monastery complex Tatev (for detailed information read here) and the Tatever ropeway. The most popular place among tourists is Garni and its gorge. 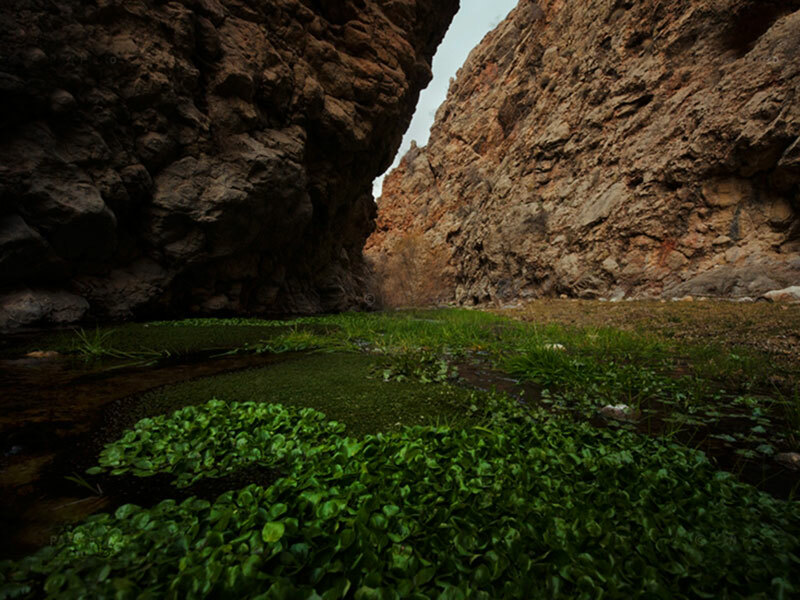 Garni gorge is located in the Kotayk region, the Azat River flows through the gorge. Over the gorge is the only pagan temple of Garni, which has survived to our days (detailed information about pagan Armenia and the Garni temple read here). 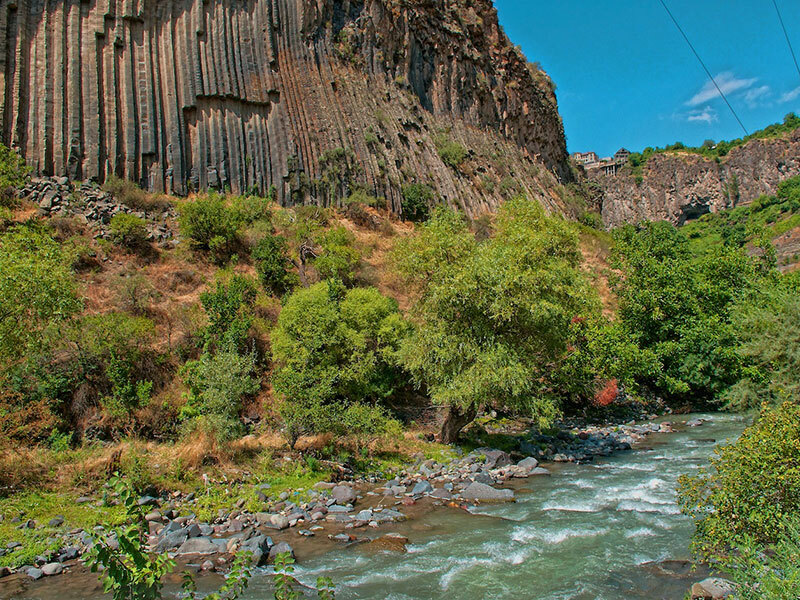 In the gorge of Garni there is one of the miracles of nature, the rocks “Symphony of Stones”. The unique basalt columns resemble the musical instrument of an organf rom afar; the vastness and power of the rocks makes us hear music. Not far from the gorge is another historical monument – the monastery complex Geghard, which plays a huge role in the history and culture of the country (for detailed information on the monastery Geghard read here). The whole area, the gorge and architectural monuments are so impressive that you will remember and mentally return to them for a long time. 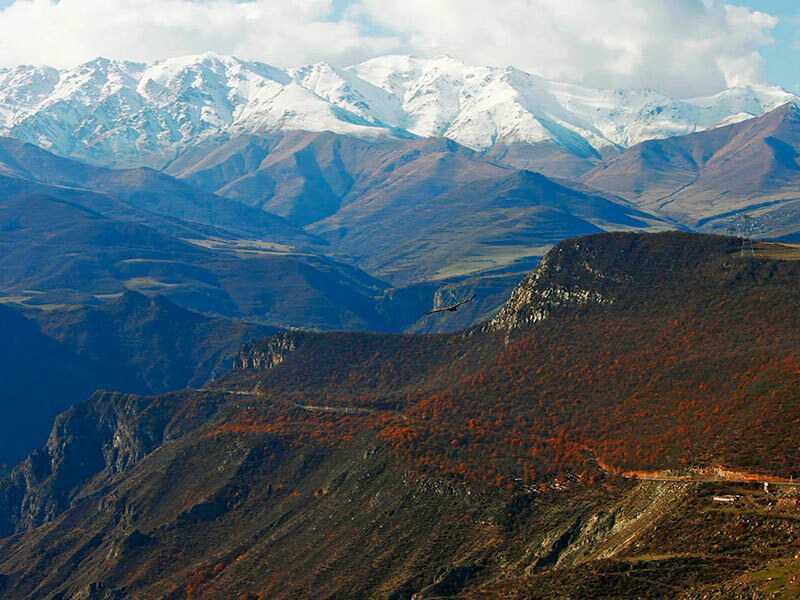 Feel the majesty of the Armenian mountains and feel the spirit of Armenia standing over the gulf of the gorge of Hunot. 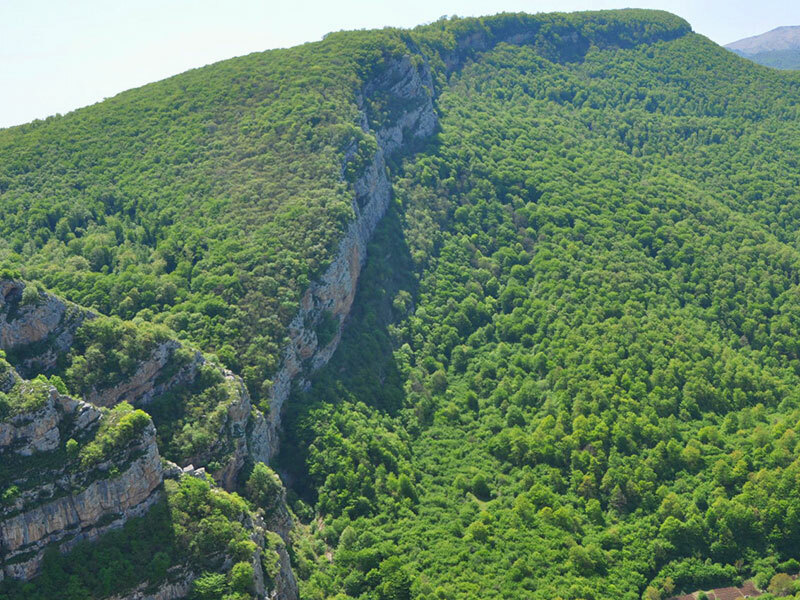 The gorge is located in Artsakh, over the Karkar River, near the Shushi Fortress. The height of the gorge is 250 meters. The gorge is a river, hidden waterfalls, forests, caves, ruins of the village of Hunot, bridges and traces left in the Stone Age. The gorge of Hunot is best explored on foot so that you will enjoy all the beauty and uniqueness of nature. In the gorge you will find the cave “Mamrot kar” (Mossy stone), which looks like an umbrella, and above it there is a small waterfall with fresh water. At the top of the rocks is the observation point Katarot, from where you can see the best view of the gorge. This is the place where time stops; here you are alone in a dialogue with nature.